Even in space you still have to exercise. You constantly have to work your muscles to keep yourself healthy and strong, even when all you do is float around. 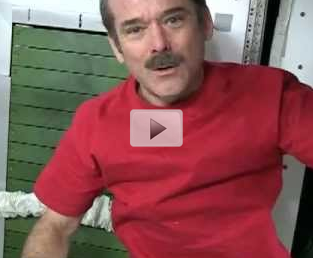 In this video, astronaut Chris Hadfield shows off his exercise routine and it isn't as easy as it looks. Take a minute and watch this video and see just how astronauts exercise while traveling through space.